I’m so very sorry to share that our little guy, Poupon, passed away peacefully in our home last week. I say peacefully, and yet it’s left Michael and me in a state of shock and overwhelm because it was so unexpected and quick. He seemed healthy and strong just a few weeks ago. We’re in the thick of it now, tumbling through anger and disbelief, desperately wanting him back, and feeling so unsettled and wobbly now that our home life and daily routines have been uprooted. This morning, Michael and I were talking about wanting some kind of sign that Poupon is near in spite of the loss of his body, and yet our grief makes it hard to see clearly. If you’ve had the experience of connecting with or receiving signs from a beloved pet that has passed on, we’d love to read about them. The outpouring of love and support has meant the world to us, and we’re very grateful for your emails, comments, and posts. We’ll get through this and together makes it so much easier. Thank you… . P. S. – There will be no Facebook Live Session this week in honor of Thanksgiving here in the states. 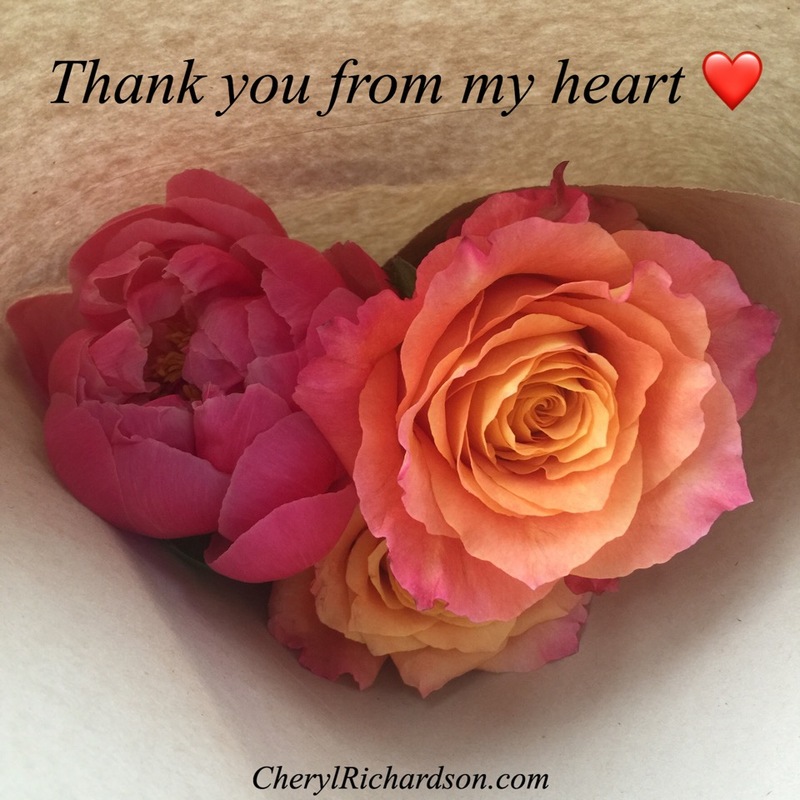 You can find prior ones on my Facebook Page and on my YouTube channel at CherylRichardsonTV here.